Do you have the belly fat gene? Researchers have found five more genes that are specifically linked to having a higher waist-to-hip ratio. Feeling fat in your jeans? Maybe it’s your genes! A new study in Human Molecular Genetics details how a team at the University of Louisville found five genes that are associated with having a high waist-to-hip ratio (WHR). When a person has an increased WHR, it means they have more abdominal, or visceral, fat. This is a dangerous type of fat that can lead to diseases such as cardiovascular disease, cancer or Type 2 diabetes. “As obesity has become an epidemic in the United States and other countries around the world, it is a very high priority for scientists to learn as much about obesity and other metabolic disorders as quickly as we can,” said Kira Taylor, Ph.D., an assistant professor at the university, who conducted the research. She wanted to know what genes make one person more susceptible to obesity as compared to another. “Why does it seem like some people can eat whatever they want and get away with it, whereas others can’t?” Taylor asked. Her team evaluated the genes of 57,000 people and discovered five new genes that are linked to higher waist-to-hip ratios. Of them, three were in both sexes, but two appeared only in women. SHC1 — one of the female-only genes — codes for a protein that already links to other obesity-linked proteins. The gene stimulates a receptor that affects the growth of fat cells, and has been present in mice that were heavier than those without it. 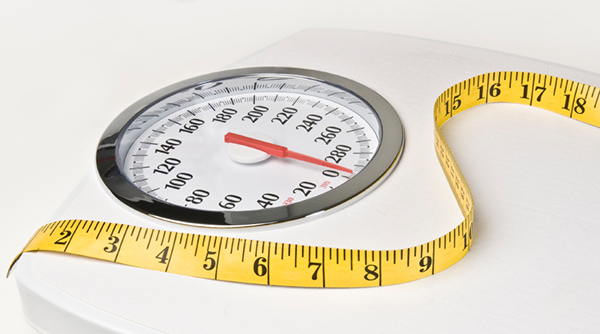 Will genetic testing impact obesity treatment? Maybe so. The finding means that you may soon be able to get a genetic test to see if you have a predisposition to a surplus of abdominal fat. Scientists may also be able to fine tune genes in order to prevent disease. And knowing you have the gene could open up more treatment options for obesity. “I can’t predict exactly when that will happen but it is certainly the direction we are heading,” she said. Taylor said that knowing a person’s waist-to-hip ration is of particular interest as it is an indicator of who will have visceral fat. Visceral fat is more dangerous than subcutaneous fat (the kind on your hips), because it ups your chances for getting cardiovascular disease, Type 2 diabetes and certain types of cancers.